The calendar doesn't say fall yet, but fall is practically here. 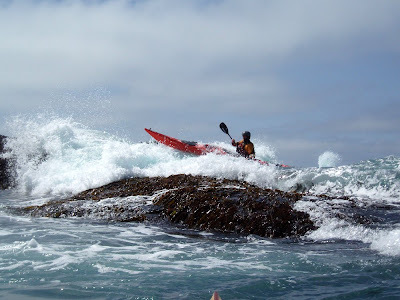 On the Mendocino Coast, we generally get some of our best weather and ocean kayaking conditions in the fall which makes for great coastal exploration via sea kayak. In the summer months, we avoid kayaking into many of the sea caves to avoid disturbing nesting birds; however, the pelagic cormorants and pigeon guillemots have fledged from their nests around the cliffs and sea caves making them now accessible. Combined with calm ocean conditions and mild weather, fall is a perfect time to sea kayak on the Mendocino Coast. We are transitioning to our fall/winter hours. In the fall and winter, reservations are necessary for all of our rentals, tours, classes, and lessons. Give us a ring. If you get our voicemail, please leave us a message. We will return your call and happily accommodate your interest in paddling with us. In the fall and winter months, we aren't in the office or at the shop as much. 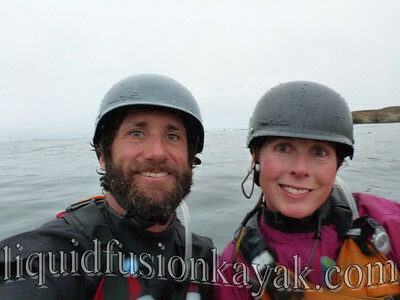 These are our training months where we refine our skills and explore new areas on the Mendocino Coast and beyond to include in our trips and classes (We know - its a tough job, but someone has to do it). 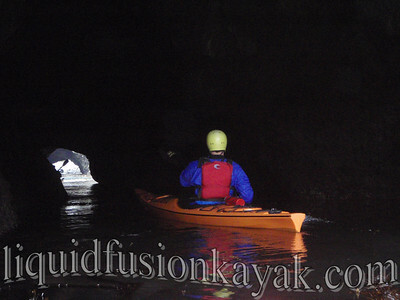 We are really excited about the positive momentum that continues to build for Liquid Fusion Kayaking. Recently we were mentioned in an article in the NY Times titled 36 hours on the Mendocino Coast. We also have been getting some great reviews on Trip Advisor and Yelp. Most exciting for us though, is YOU - checking out our website, reading our blog, following LFK on facebook, coming paddling with us, and sending your friends our way. Whether you enjoy our mild or wild side, we are stoked to share it with you on and off the water. This fall, we are looking forward to helping sea kayakers develop their skills and earn their BCU Star Awards. If you are interested in developing a solid foundation of skills, be sure to check out our BCU Trainings and Assessments. In October, we will be loading up our truck with sea, whitewater, and surf kayaks to paddle and play in the surf and rock gardens of the Oregon Coast at the Lumpy Waters Symposium. Don't worry though, we won't be gone for long as mushroom season will be upon us. 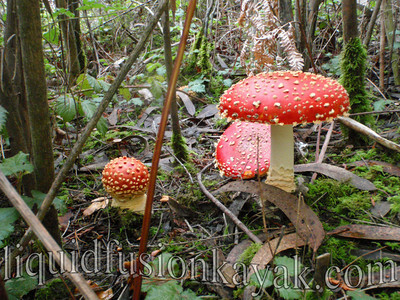 In November, we will be having our Mushroom Paddles and sharing our knowledge of the fungi of our Mendocino coniferous rain forests. We have started doing our rain dances and are hoping for a bountiful year. 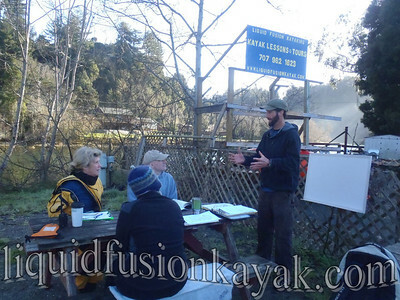 We are planning some exciting new programs for 2012 including sea, river, and surf kayaking instruction and tours. If you would like to be among the first to know about our new doings, contact us to be added to our email list.